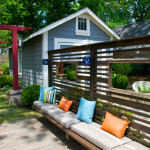 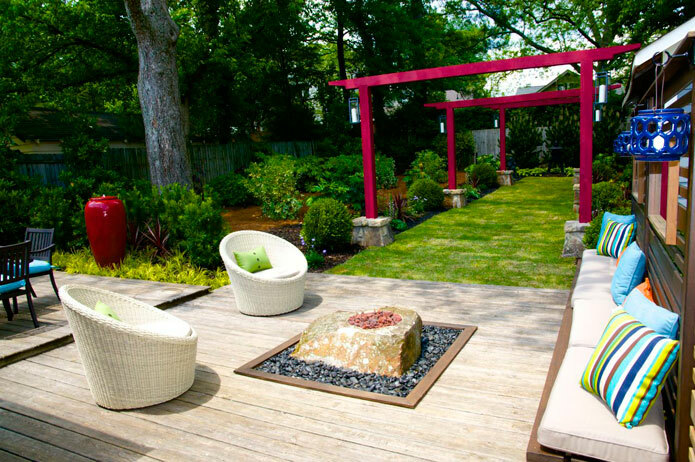 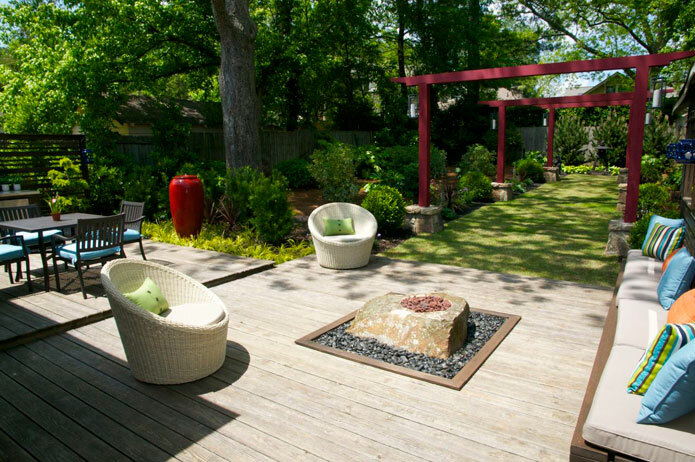 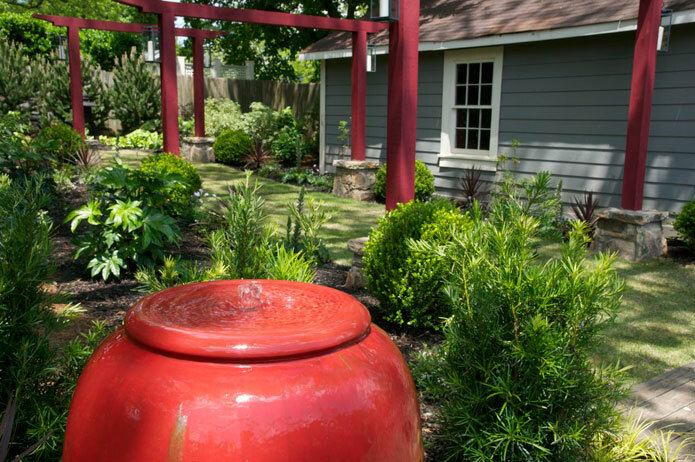 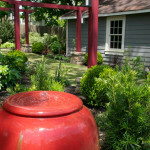 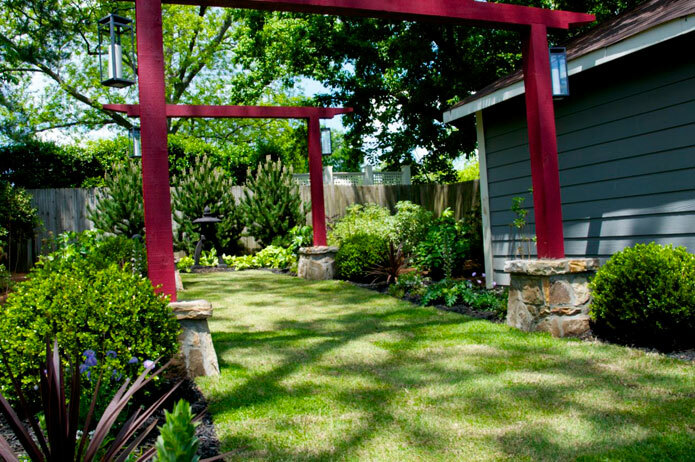 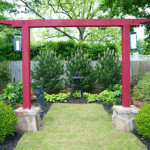 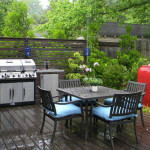 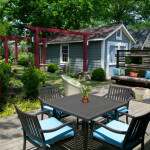 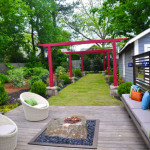 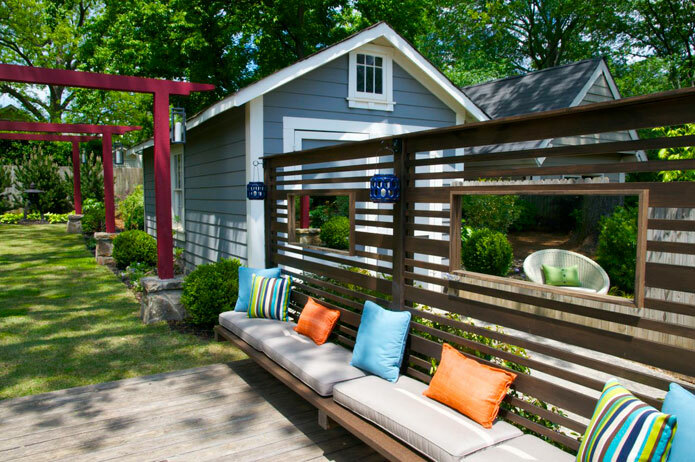 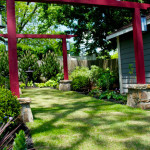 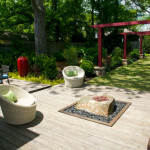 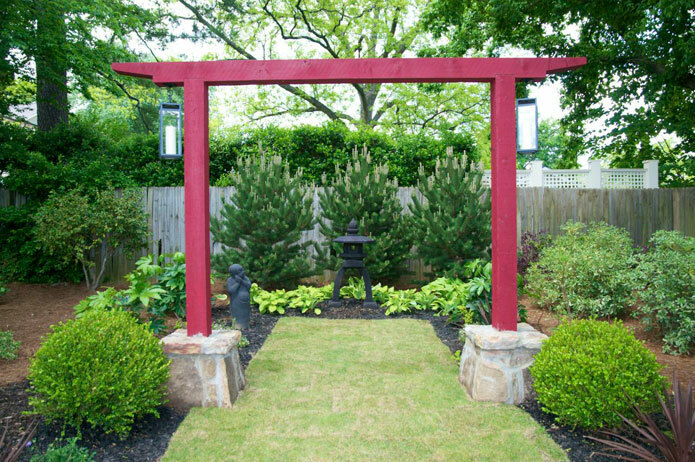 This project was featured in HGTV & DIY’s show Yard Crashers titled “Zen”. 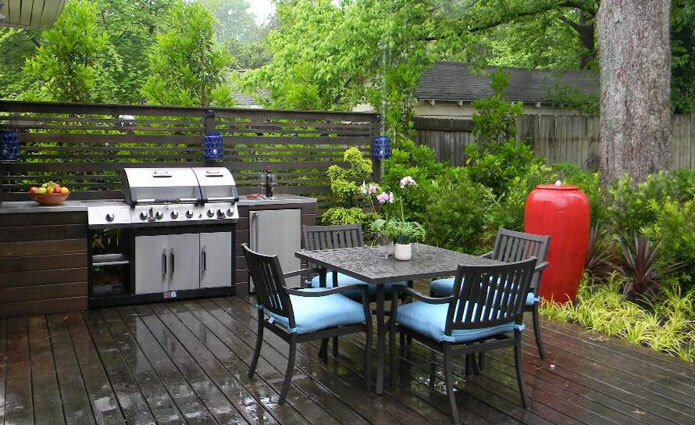 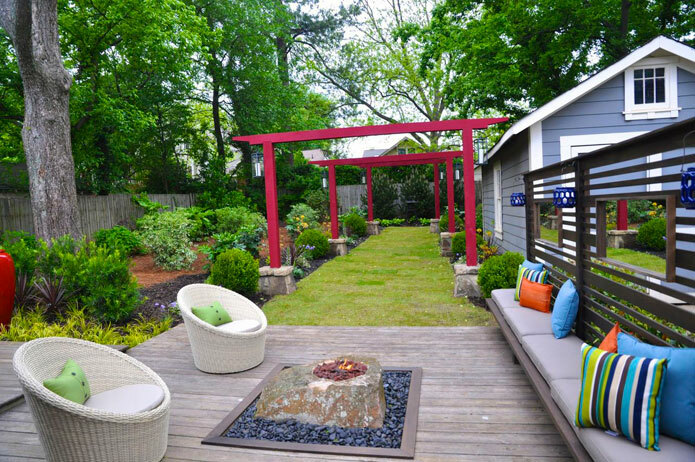 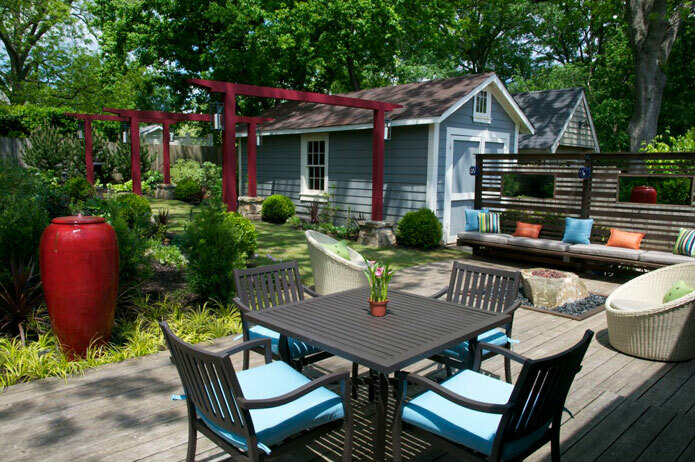 We transformed this blank back yard into a zen-like garden, which included a new outdoor kitchen with a built-in grill, refrigerator and stainless steel countertops. 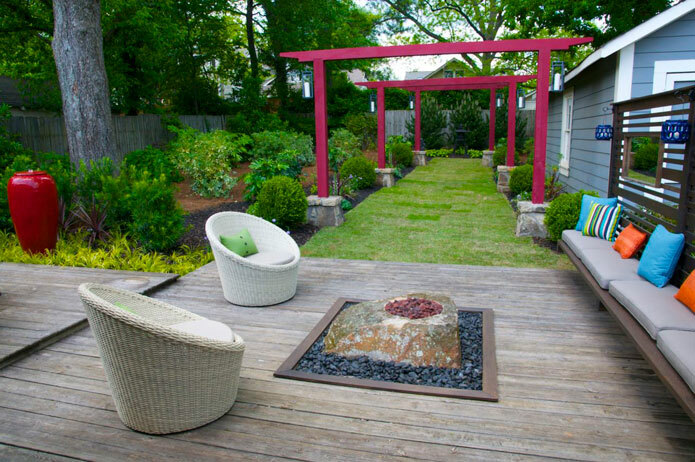 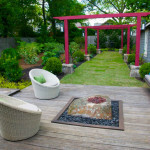 Other features of the garden included a unique fire boulder, garden gate pergolas with hanging lanterns, a recirculating fountain, floating bench and custom screens on the deck to give the back yard privacy.